Sylvia grew up in Atlantic Canada in the 1950s and 60s, the third youngest of four children, during a time when country kids attended one-room schools and all children rode their bicycles and skated on ice without wearing protective helmets. Sylvia has held a variety of positions during her working career, the most recent being an Instructional Designer and Learning Specialist before she retired in the spring of 2010. The one constant throughout her life is that she loves to write and to share her writing with others. 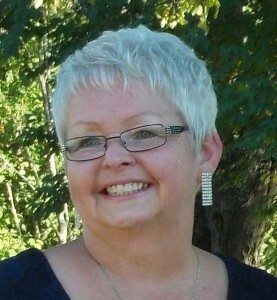 Sylvia’s prose and poetry have been published in various literary journals, newspapers, and magazines in Canada. After a long gap, she is writing again full time, has published several eBooks to date, and is working on others to be published soon. Sylvia also plans to publish paperback editions of her popular books. Sylvia was married to her childhood sweetheart for over thirty-seven years before he died from cancer in December 2009. She has two wonderful adult children whom she dearly loves and a cottage where she enjoys spending her time in the summers. She likes to travel and especially likes cruising. When she’s really old she’d like to live on a cruise ship–it’s probably no more expensive than a nursing home and at least on the cruise ship her family and friends may actually visit her. For now, though, Sylvia just wants to continue doing her best to capture imaginary people involved with real-life problems and dilemmas. Stay tuned for more books from Sylvia coming soon.